What Happens to a Savings Account if a Bank Collapses? The FDIC insures deposits held in bank accounts. 1. What Will Happen to IRA Accounts or Savings in Banks if We Have a Great Depression? 2. Who Insures a Certificate of Deposit Issued by a Bank? 3. How Are Brokerage Money Market Accounts Insured or Protected? Federal regulators have the power to close down insolvent financial institutions. Money held in savings and checking accounts at failed banks are subject to insurance coverage that is provided by the Federal Deposit Insurance Corp. However, FDIC protection only extends to certain dollar limits, and some deposit holders may have to wait months or years before getting back some or all of their money. Congress sanctioned the creation of the FDIC in 1933 at the height of the Great Depression. At the time, many banks were failing because worried consumers were withdrawing cash from banks. This caused banks to become insolvent. The FDIC was designed as both an insurance provider and a banking regulator. Banks are required to pay annual premiums to the FDIC and these premiums pay for the FDIC's deposit insurance plan. Premiums are based on the size of a bank's deposit base which means larger banks have to pay bigger premiums. In its capacity as a regulator, the FDIC monitors the financial health of institutions and can raise insurance premiums to offset impending claims. When a bank fails, the FDIC reimburses account holders with cash from the deposit insurance fund. The FDIC insures accounts up to $250,000, per account holder, per institution. Individual Retirement Accounts are insured separately up to the same per bank, per institution limit. The FDIC also provides additionally insurance coverage for pay-on-death beneficiaries. Consequently, a married couple with a joint account would have $500,000 combined coverage and they could also increase the coverage by $250,000, for each POD beneficiary they add to the account. 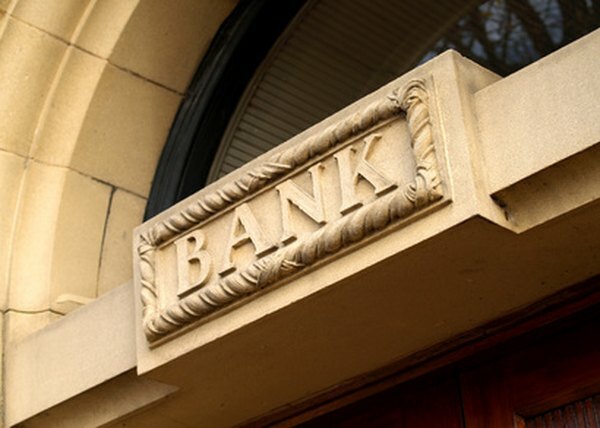 When a bank closes, the FDIC assumes the role of a receiver and conducts an inventory of the failed company's assets. FDIC officials sell the banks assets such as deposit accounts and real estate to other banks or investment companies. The FDIC uses cash from the sale to settle the bank's past due obligations such as taxes, insurance costs and also to satisfy the claims of its creditors. Having paid these claims, the FDIC disburses any remaining money among account holders who lost money because their balances exceeded the insurance coverage limits. No account holders have lost a cent of insured money held in checking or savings accounts since the FDIC began operations. However, people with uninsured deposits have lost money in the aftermath of bank failures. Aside from adding PODs to bank accounts, some account holders split savings account funds across several institutions to reduce the chances of losing money in the event of a bank's collapse. Other people invest some money in savings accounts at credit unions which are insured in the same manner as bank accounts although the National Credit Union Administration rather than the FDIC acts as insurer and regulator. What Is a Brokered Deposit?